Greetings after a long hiatus! Chinese takeout box gift receptacle (cool, huh?) 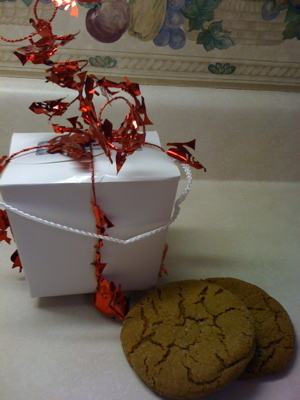 and Starbucks Ginger Molasses Cookies. You can fit four or five in the box. I’m still getting back in the groove after our seasonal crud and recovery. Things have been hectic, as I’m sure they are for you as well. Tis the season! If necessary, let’s read my last post (the semi-depressive yet redemptive Thanksgiving offering), and we’ll take cleansing breaths together. 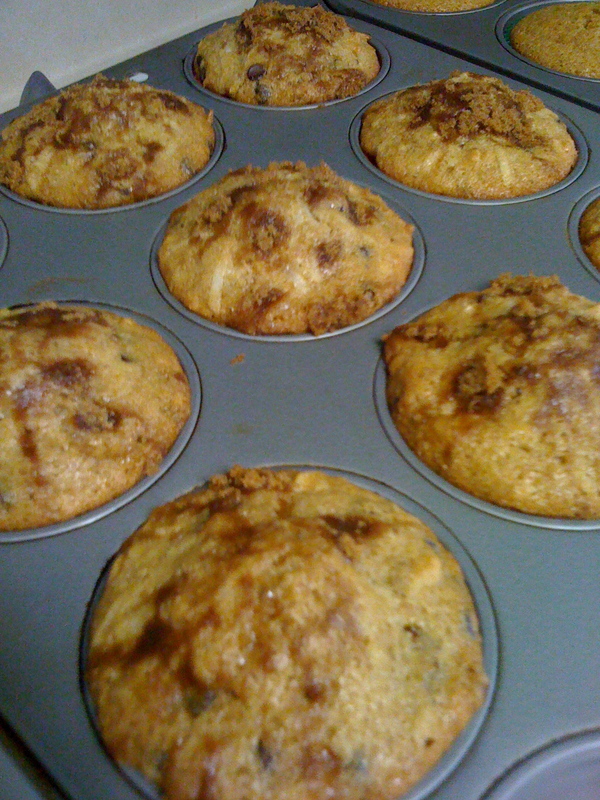 The Spicy Pumpkin Carrot Muffins you may remember from an earlier post. They were fairly popular at a recent church event, so I thought I would make a few extra to have around. I’m taking some to the DD’s school party tomorrow, for the adults to nosh during the festivities. I made a mini-muffin, non-spicy, non-nut, non-fruit version for the kids. Hey, it’s still got crunchy brown sugar on the top! 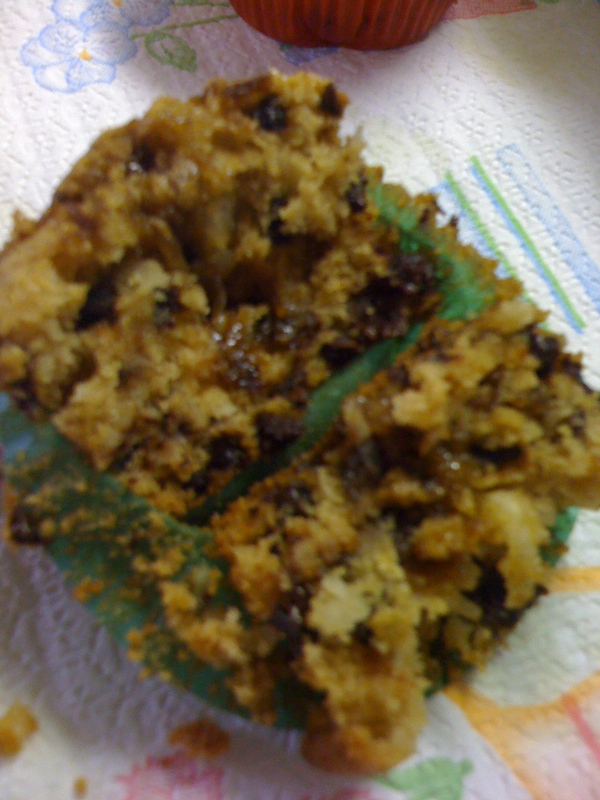 I know you’re just dying to know the story behind the Gluten-Free, Casein-Free Chocolate Chip Muffins. Well, maybe not, but I’ll wager that at least one or two GFCF folks will find this by search. 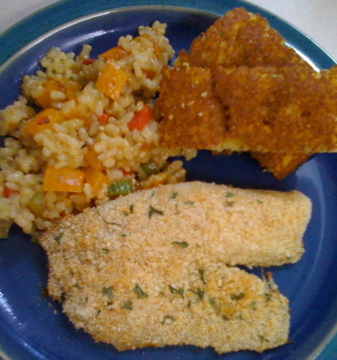 It can be hard to find easy, yummy recipes to fit this growing segment of the special-diet population. One of the teachers in our 2yo DS’s mother’s day out class eats this way, along with her daughters. So I set out — with only today to shop and bake — to create something yummy just for her. More on this here…it was such a fun adventure and deserves its own post! I hesitate to give a recipe for the Sweep the Floor Cookies, because the whole purpose (and its name, coined by the hubster) is to use whatever. You know, those half-bags of baking whatnot you have lying around your pantry and freezer. A half-bag of Craisins? Awesome. Butterscotch chips? Bring it. Forgotten bag of nuts? No problem. My Fourth of July version used white chocolate chips, Craisins and dried blueberries. This week, I used Craisins, walnuts, and these tiny caramel filled chocolate pieces I had squirreled in the freezer. Didn’t work so well, because the caramel seeped out and burned on the baking sheet. So don’t use those. Cream the butter in a stand mixer using the paddle attachment (medium to high speed) until light and fluffy. Reduce the speed and add about half the flour. Add in the sugars, egg, vanilla, baking powder and soda and beat until combined. Add remaining flour and beat until just combined. Turn the mixer off and add the oats, coconut and add-ins. Turn the mixer on in short bursts, just enough to gently mix in the add-ins. Use a #20 disher or drop by rounded tablespoons onto an ungreased baking sheet. Bake about 8 minutes at 375 degrees. Cool for a minute on the sheet before moving to a wire rack to completely cool. YUMMMM!!!! If you’d prefer more hands on help with recipe ideas and developing you cookery skills, there are courses you can attend for a variety of different cuisines, for example Saavor baking classes teach you the art of baking at a beginners or professional level. I think that’s enough for today. Sorry again for being away so long. Lots upcoming, and I hope to get back in the groove of blogging about local chefs and trends as well. Being in school will probably help. And that’s coming soon!